Abstract: One of the most popular frameworks today for web-based data visualizations is D3. In this workshop you will learn how to leverage to most common parts of the D3 framework to create data visualizations. This will in include making selections, working with data, creating shapes, and more. Although the emphasis is on learning D3, some general visualization design principles will be touched upon briefly as well, to help you make better informed design decisions. 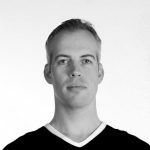 Bio: Jan Willem Tulp is a independent Data Experience Designer from The Netherlands. With his company TULP interactive he creates custom data visualizations for a variety of clients. He has helped clients such as Google, European Space Agency, Scientific American, Nature and World Economic Forum by creating visualizations, both interactive and in print. His work has appeared in several books and magazines and he speaks regularly at international conferences.